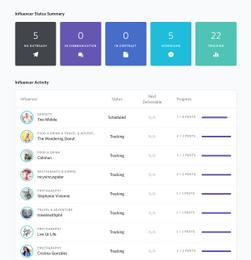 Our campaign management tools can power your entire influencer marketing campaign activation. Message influencers, organize your workflow, and track deliverables in one convenient place. Our integrated messaging makes mass outreach a breeze. Attach files and add co-workers to make the message stand out, and get notified in-app when an influencer replies. Move the conversation to your preferred email client, and store the chain in Julius. 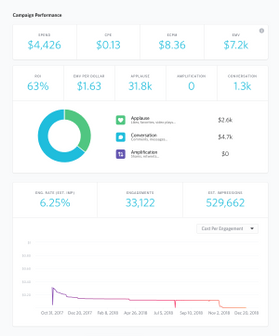 Track every step of your campaign, including deliverables, spend, notes, and documents. Set statuses and reminders for your influencers, and keep everything in one place. Set roles and permissions for each user in a group for clearly defined outcomes and seamless collaborations. Share lists, files, and notes with individual users or entire teams. Safely store your proprietary influencer data in Julius and share with colleagues. Your influencer’s posts will automatically populate in your campaign view the moment they’re published. We keep track of FTC disclosure as well, so you can feel confident your influencers are doing it the right way.